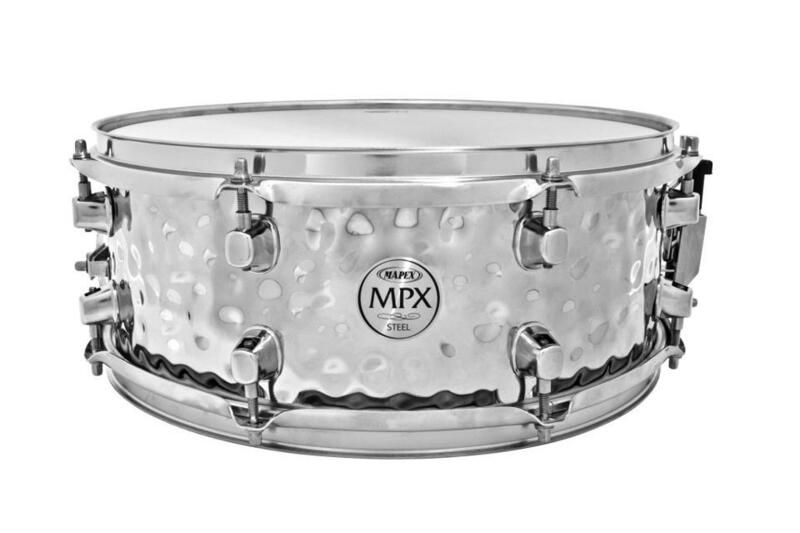 The Mapex MPX Hammered Steel Snare Drum is well-equipped to stand out in any playing situation. The drum's unique looking hammered, 1.0 millimeter steel shell provides bright crisp highs, punchy focused mids, and full-bodied lows. The snare drum shell is adorned with chrome hardware and low-mass lugs. Mapex delivers the MPX Hammered Steel Snare Drum with fully adjustable throw-off and Remo UX drumheads.